Ambrose provides frank conversation and a pick-me-up in the face of all the challenges midlife has to offer. 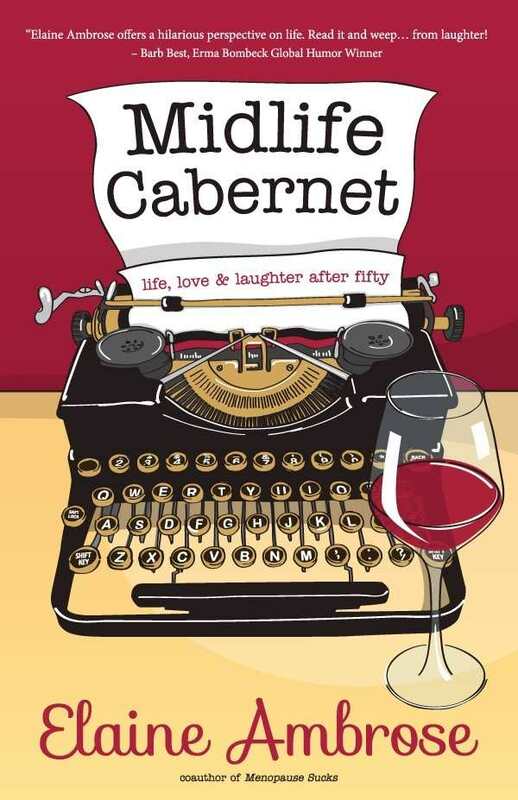 Elaine Ambrose’s Midlife Cabernet: Life, Love & Laughter after Fifty is an Erma Bombeck-esque tribute to women who are over fifty and ready to explore life on new terms. It’s a humorous and sassy-yet-compassionate view of life over the hill, as well as a retrospective on the climb to the top. The writing and mechanics are solid, and the midlife focus is perfectly matched by the cover, with its antique typewriter. What is mostly a punchy and humorous series of essays—(“If you are what you eat, I’m a gigantic chocolate chip cookie floating in a vat of red wine”)—at times turns tangential, such as when, in an essay about bad investments and “avoid[ing] crooks,” Ambrose dives into a nostalgic reflection on what she learned in English class, thanking her “heroes” (English teachers), who taught her how to diagram a sentence. Later chapters also contain lists of a mix of sensible and humorous advice for travel with grandchildren and travel alone, lists that at times lack the same energy exuded in earlier chapters. Throughout, though, the tone is cheerful and friendly. Ambrose reads like a not-too-tired fifty-something who still has the energy to play a joke on a friend, enjoy romance with her spouse, and hop around with grandkids—appreciating life all the more when in relief against its inevitable challenges. Midlife Cabernet is an argument for joy despite parents with dementia, grandchildren with Down syndrome, financial loss, broken relationships, and slow metabolisms: “Your challenge throughout the year is to keep the music playing. Sing and play your own songs long after the confetti is thrown into the garbage, the bills are past due, and prosperity is still elusive.” Ambrose will draw readers looking for frank conversation and a pick-me-up in the face of all the challenges midlife has to offer.